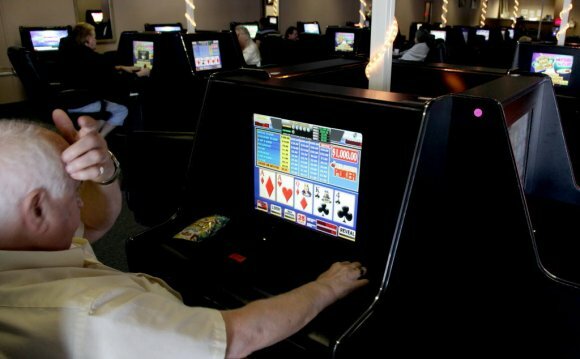 Dozens of Internet sweepstakes cafes are owned and operated by people who are in so much financial hot water that they couldn’t land a job at an Ohio casino. Some have flouted a decades-old state law that requires businesses to register with the secretary of state. And most cafe owners snubbed an affidavit requested by the Ohio attorney general’s office last year to obtain more information about owners and their businesses; most provided little more than a street address. The Dispatch investigated the backgrounds of both the businesses and the names of owners supplied to the attorney general’s office last summer on “affidavits of existence” and found a trail of red flags. Ohioans are required to provide more information to register their dogs than to operate a sweepstakes gambling operation. • More than half of the 780 businesses that registered with the attorney general provided no information other than a street address. They did not give the owner’s name or the business name or answer any other questions on the affidavit. • Nearly 100 of the businesses are not registered with the Ohio secretary of state. • The incorporation records for an additional 444 could not be found because there wasn’t enough information on their affidavits to find their state business records. The Dispatch was able to locate state business records for 235 of the cafes. The owners themselves are equally mysterious. Of 221 people who provided names to the attorney general’s office, The Dispatch was able to identify only 122 of them through public-records searches, largely because of the lack of information provided to the state. In a handful of cases, a national public-records search through the aggregator Nexis-Lexis could not find anyone in the U.S. with the names provided.